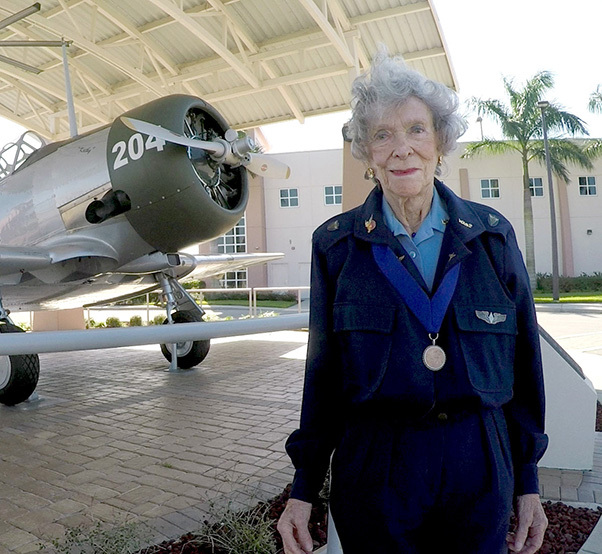 Bernice Haydu, a Women Airforce Service Pilot, or WASP, during World War II, stands next to an AT-6 Texan at Page Field near Fort Myers, Florida, Feb. 20, 2016. The WASPs flew Texans during flight training at Avenger Field in Sweetwater, Texas. President Barack Obama signs S.614 in the Oval Office at the White House, July 1, 2009. 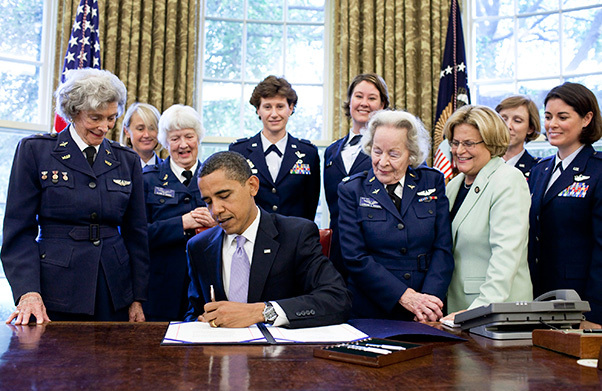 The bill awarded a Congressional Gold Medal to veterans of the Women Airforce Service Pilots. 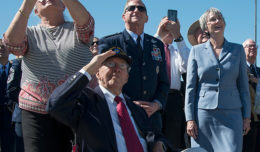 The WASP program was established during World War II and from 1942 to 1943 more than 1,000 women joined, flying 60 million miles of noncombat military missions. 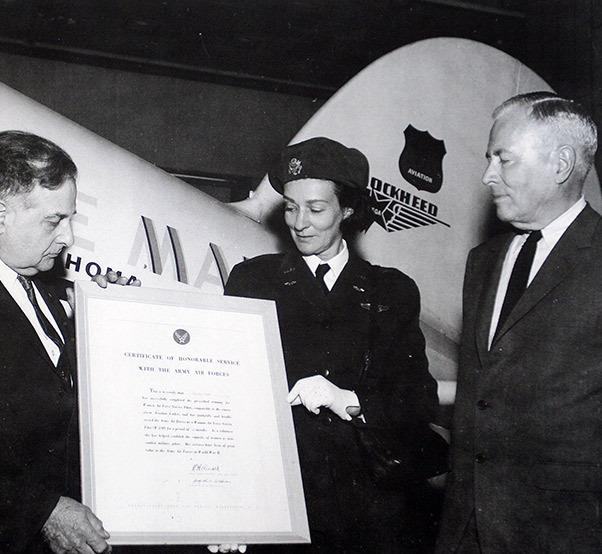 Paul Garber, historian emeritus of the National Air and Space Museum in Washington, D.C., discusses Women Airforce Service Pilot history with Bernice “Bee” Haydu, a Women Airforce Service Pilot, or WASP, veteran, while S. Paul Johnson, director of the museum, looks on, March 24, 1969. Haydu donated her complete uniform, which is still on display. The usual method of training was to start in a primary trainer, then go to a basic trainer and finally go to an advanced trainer. 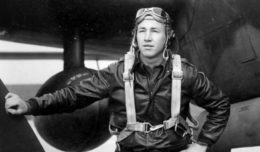 “They wanted to experiment with the women to see if they could eliminate one of the phases of training, so we went from the Stearman, which is an open cockpit biplane, in primary [training], and after about 60 to 70 hours of that, we went directly into the advanced, which was the AT-6 [Texan] — that’s 650 horsepower comparted to 220 horsepower,” she said. 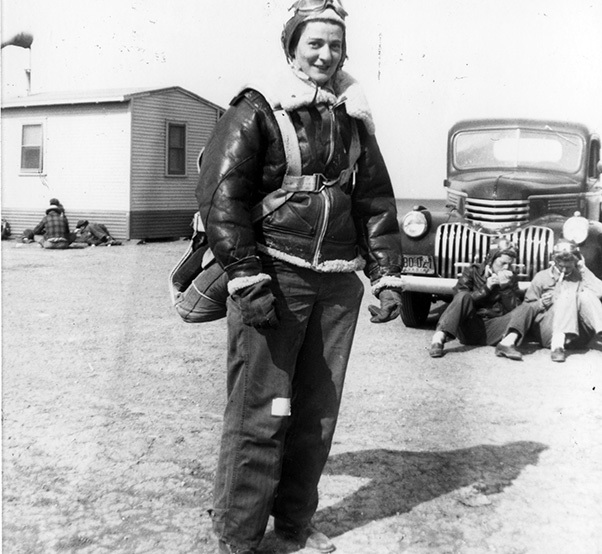 Bernice Haydu, a Women’s Airforce Service Pilot, or WASP, during World War II, prepares to get into a Stearman Kaydet bi-plane during pilot training while wearing her parachute. 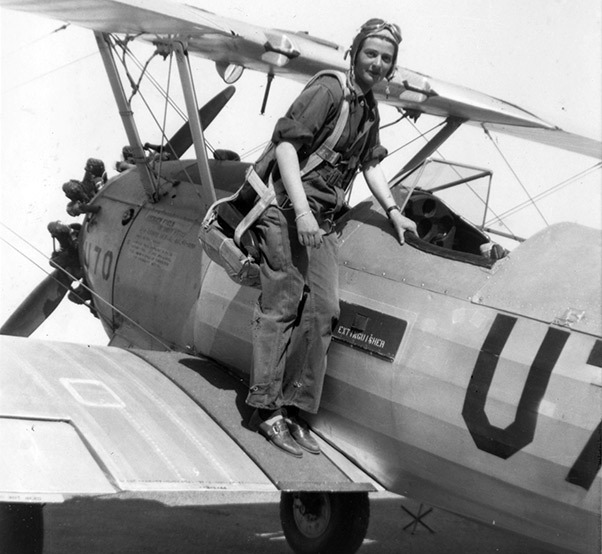 Bernice “Bee” Haydu, a Women’s Airforce Service Pilot, or WASP, during World War II, prepares to fly a Stearman Kaydet during flight training at an auxiliary field near Avenger Field in Sweetwater, Texas, in 1944. Because the plane was an open cockpit bi-plane, during the winter months, the pilots wore winter gear such as a fleece-lines helmet and pants. They would make flight notes on the adhesive tape on the pants. Click here for the video link – Ed.